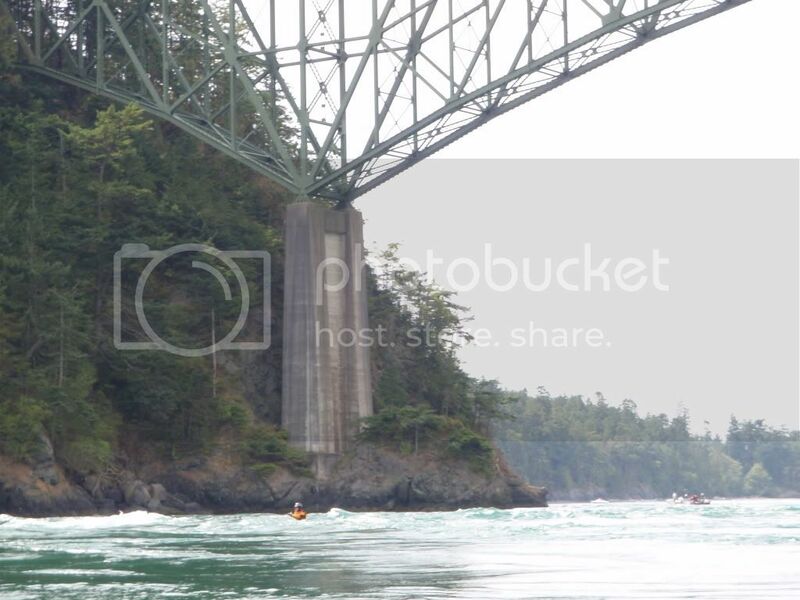 Friday morning I got an invitation to go kayaking up at Deception Pass. It was an extremely last minute decision, but I’m glad I jumped at the chance. Within 30 minutes I had everything ready to go and John picked me up before picking one more person up (Megan) and heading up to the Pass. We met 3 other people (Rand, Alex, and Ian) at the put-in point of Cornet Bay on the South East side of the pass. I’ve never put in here before, but it appears to be the perfect put-in spot if you want to go play in the pass during the ebb rather than the flood. There were some winds out of the west, but these helped create the waves that we spent several hours playing in. 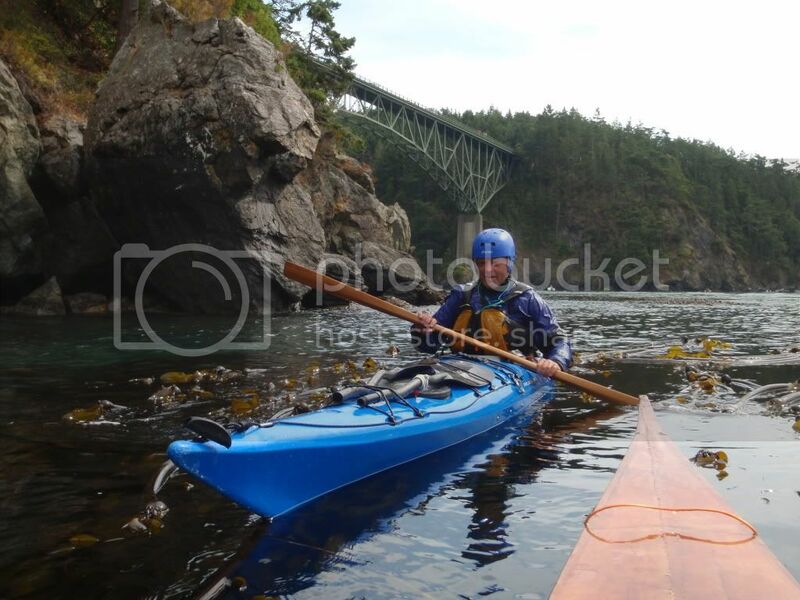 We started out playing in Deception Pass (the main passage on the South). 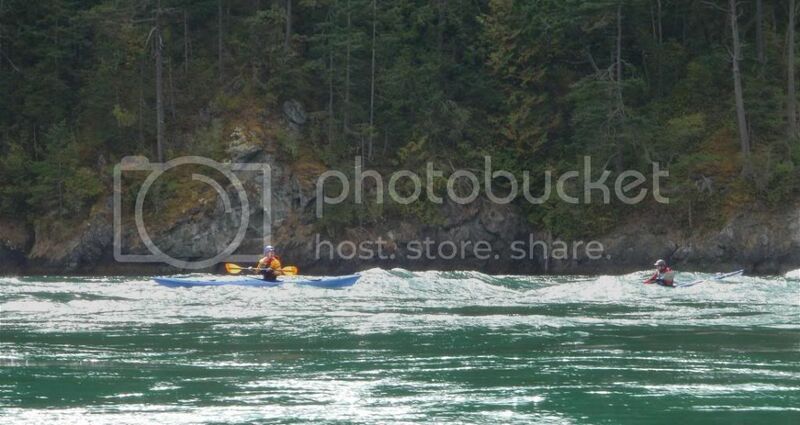 However, there was a lot of boat traffic so we kept having to move out of the pass to let them go through. 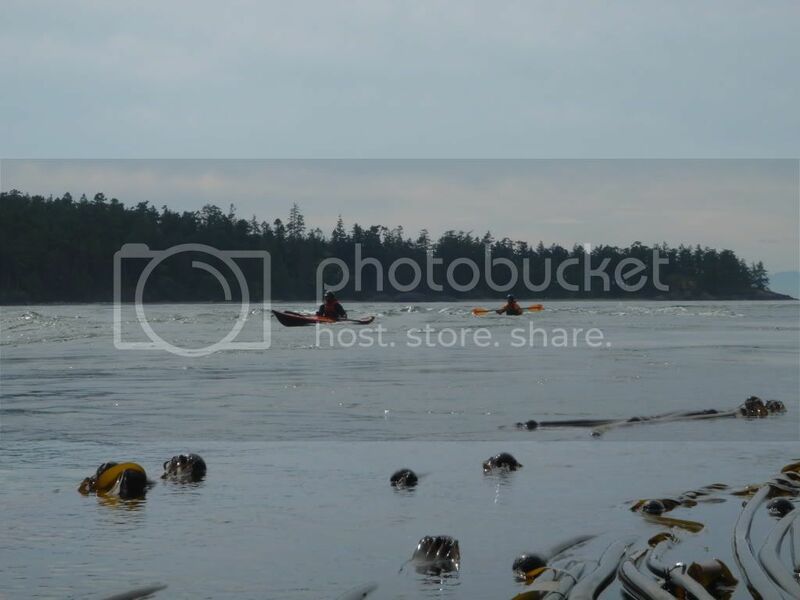 After awhile we moved over to Canoe Pass on the North side. 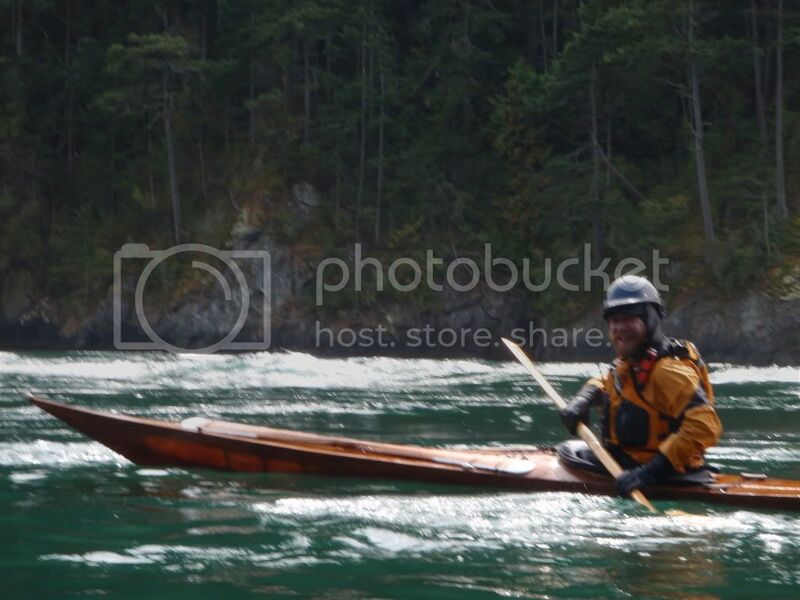 Not as many boats pass through this part so we had the standing waves all to ourselves. At first the waves were a smooth glass which was enjoyable, but over the course of several hours the conditions changed periodically. 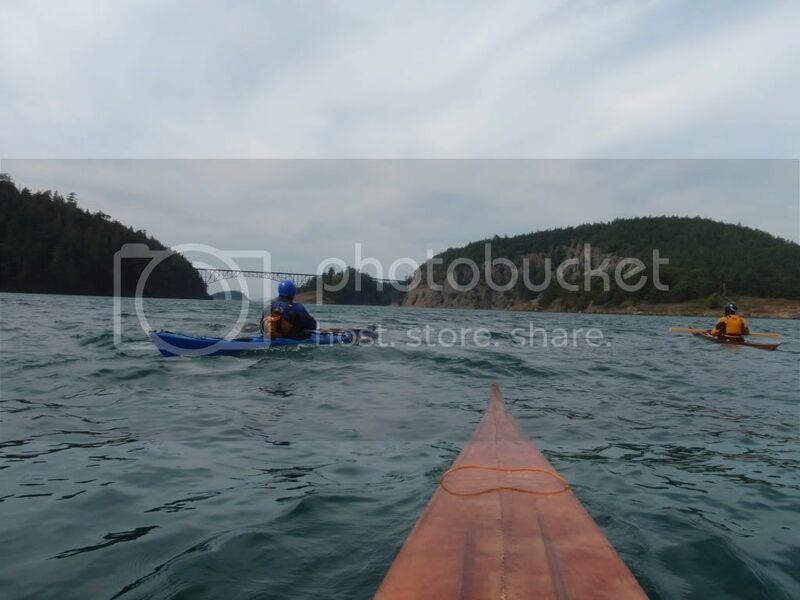 All of the paddlers I went with are extremely skilled so it was a joy to paddle with them. Unfortunately I only had my skin on frame at home so that was what I brought with me. Next time I’d definitely bring the Mariner. Many of the others were practicing various rescues in the conditions but I wasn’t about to do a wet exit out of the skin on frame! I did have float bags in it, but I’m certain it wouldn’t have been fun for anyone to have to rescue it, and I wasn’t about to do a re-entry and roll in that! The SoF also doesn’t surf as well as the Mariner would have in the standing waves, but it was fun to play for the day. I also got a demonstration of how to roll in seaweed from Alex. 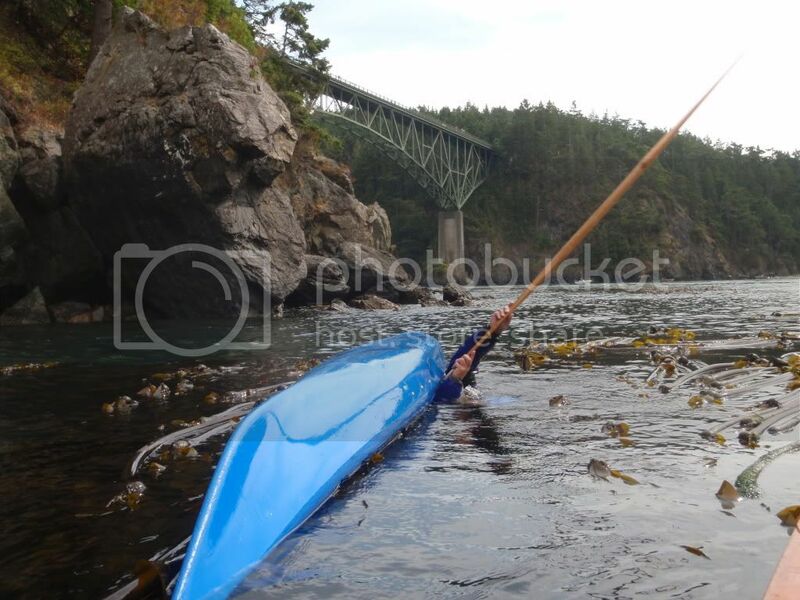 Go over, get you paddle entirely out of the water above the seaweed, slap it down on top of the seaweed and roll back up, hopefully without any seaweed grabbing you and holding you under. Great day at the pass. Thanks for the invite John, definitely keep the invites coming! You must have been moving too fast, I only caught a blurry photo of you.